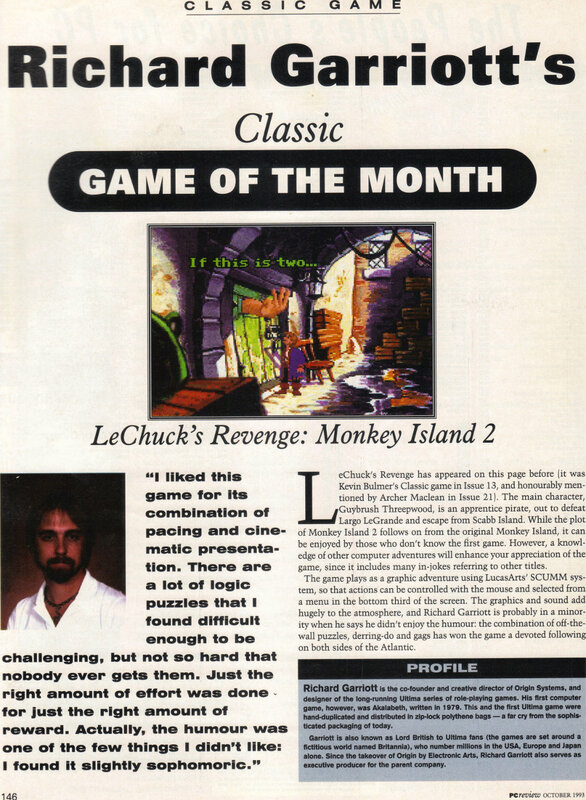 This is the classic game of the month from October 1993’s PC Review magazine, this time chosen by Richard Garriott. It’s a classic game in my eyes but I’m surprised to see him choose an adventure game, especially when he says he didn’t like the humour. This entry was posted in Magazine Scans by Pix. Bookmark the permalink.